Police say that a construction worker was killed on Monday afternoon in an industrial accident in Cheltenham Township, Montgomery County. 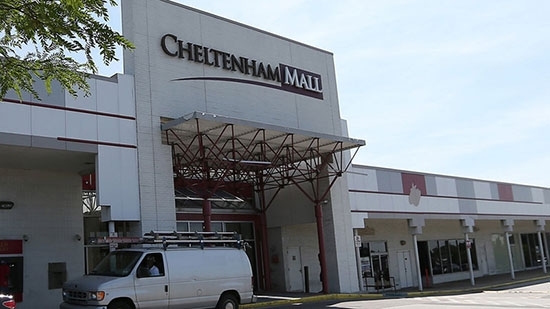 It happened around 1 p.m. Monday at the former Cheltenham Mall on the 2400 block of Cheltenham Avenue. The mall is currently under construction. The man was working in an old Wells Fargo Bank branch when a ATM fell and crushed him. Fire, police, and a Montgomery County Special Operations Structural Collapse unit responded to the scene. The man was 35-40 years-of-age. He has not otherwise been identified. The accident is under investigation. A Philadelphia synagogue has been vandalized again. The Temple Menorah Keneseth Chai located on the 4300 block of Tyson Avenue in the city's Tacony section has been targeted three times since December. This time a maintenance worker found that a baseball-sized rock had been thrown through a stained glass window over the weekend. The other times rocks were also thrown through windows. The synagogue had installed surveillance cameras after the other incidents and captured the latest one on video. There is still a $10,000 reward for information in regards to the vandals. Philadelphia police are looking a gunman who chased after and shot another man several times in broad daylight last week in the city's Olney section. It happened around 6 pm Friday at 5th and Ruscomb streets. The incident was caught on surveillance video. The suspect is seen chasing the victim down the street and shooting five times. He was hit in his chest, arm, groin, and backside. The victim was taken to Einstein Medical Center where he was treated. The suspect has been described as a black male, between the ages of 20 and 30, with medium complexion, a light beard, and a medium build. If you have any information, contact police.